Vincent T. Pace is involved primarily in the preparation and prosecution of patent applications in the following technical fields: electrical and electronics engineering, mechanical engineering; metallurgical products, processes, and processing equipment; and engineered materials. He has represented clients in patent interference and reexamination proceedings before the U.S. Patent and Trademark Office. Mr. Pace also has substantial experience in prosecuting patent applications in various foreign countries, particularly in the European Patent Office and in Japan. He has also represented clients in patent opposition proceedings in foreign countries. Mr. Pace is involved in the preparation and prosecution of trademark registrations and has represented clients in trademark opposition proceedings in the U.S. and in foreign countries. He counsels clients on questions relating to U.S. patents, trademarks, copyrights, and trade secrets. Mr. Pace has represented clients in patent and copyright infringement litigation. Mr. Pace is a 1971 graduate of Worcester Polytechnic Institute where he received the Bachelor of Science in Electrical Engineering (B.S.E.E.). He received the Master of Science degree in Electrical Engineering (M.S.E.E.) from Drexel University in 1976 and the Juris Doctorate (J.D.) from Temple University Law School in 1982. 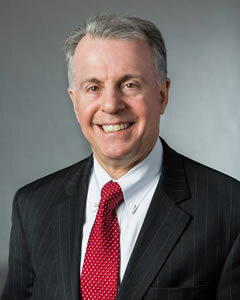 He has been admitted to practice law in Pennsylvania and New Jersey since 1982. He has been registered to practice before the United States Patent and Trademark Office since 1983. Prior to his association with the firm of Dann Dorfman Herrell and Skillman in Philadelphia, Mr. Pace was employed as an electrical engineer with the Philadelphia Electric Company and as a Patent Advisor in the Office of Naval Research, Department of the Navy. Mr. Pace is a member of the Pennsylvania and Philadelphia Bar Associations, as well as the American and Philadelphia Intellectual Property Law Associations. He is also a member of the American Society for Metals.